Spare a thought for all-French crews working on Brittany Ferries’ ships this Sunday. Around 1,000 will be on-board, delivering regular services between the UK, France and Spain as the world cup final takes place. The safety, security and well-being of passengers will be their first priority of course. And they will be looking after around 6,150 mainly-English passengers, many of whom will be watching the match on screens throughout the fleet wondering what might have been. Brittany Ferries is the largest employer of sailors in France and crews on services between the UK, France and Spain are all-French. 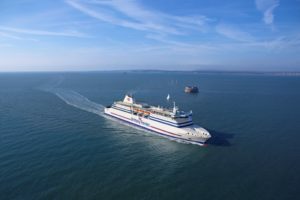 Conversely around 85 percent of passengers who travel on Brittany Ferries’ eleven routes are British. Here is the list of ships, routes and total passengers who will be travelling during the world cup final on Sunday.